Michael Holt says previous World Championship "nightmares" have not dulled the sense of excitement that comes with playing at the Crucible. 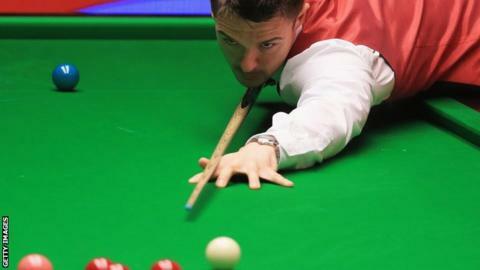 The qualifier faces world number four Neil Robertson on Tuesday. Nottingham's Holt failed to get beyond qualifying in 2015, having gone out in the first round the previous two years. "You have to relish it. Sometimes it can be a nightmare, which I've experienced, but it is brilliant," Holt told BBC Radio Nottingham. "It means everything as a player to be there." World number 28 Holt says the sport's showpiece event defines the best and worst of seasons. "You can have a great season but if you don't qualify for Sheffield or are not in it, then something is missing," he said. "And on the flip side, if you have a mediocre season, but you get through to Sheffield you feel a spring in your step return."